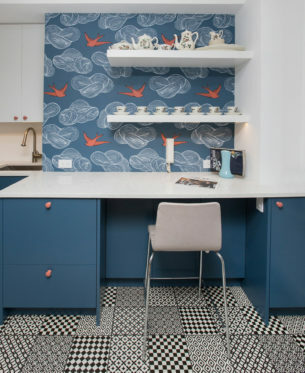 Kitchen and bathroom design-build project for a film editor who is not afraid of color and pattern. 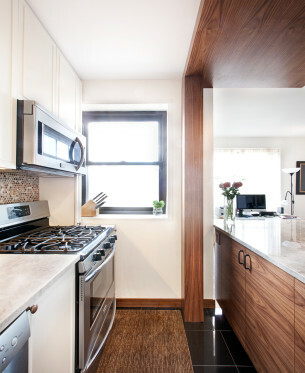 Full design-build of a 2 bedroom / 1.5 bath residence. 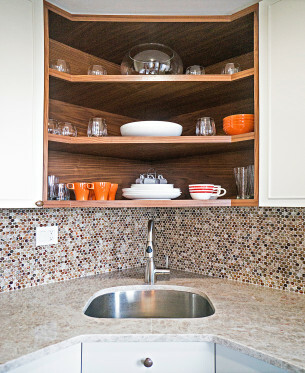 New custom built cabinetry at our shop. 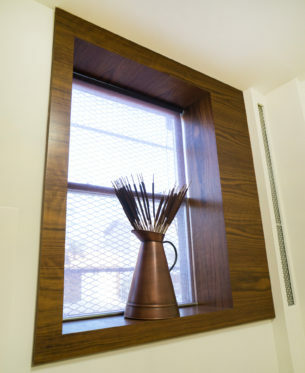 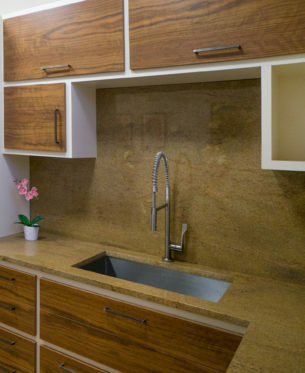 Design-Build of custom cabinetry for a social club featuring beautiful olivewood. 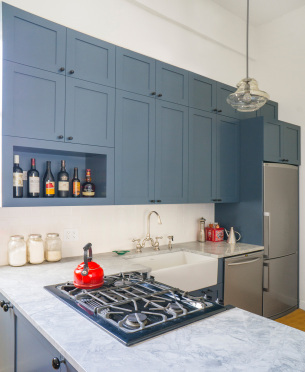 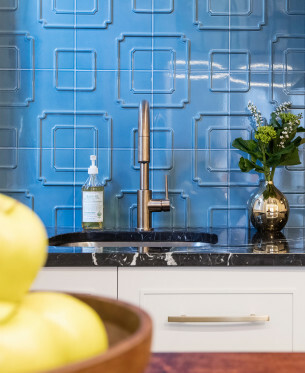 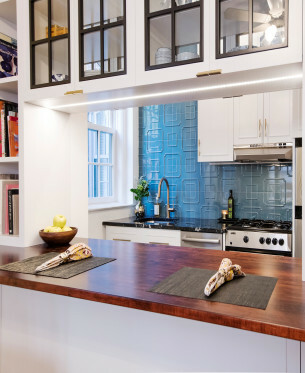 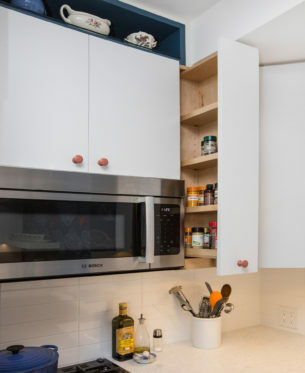 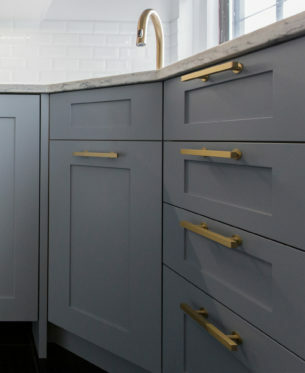 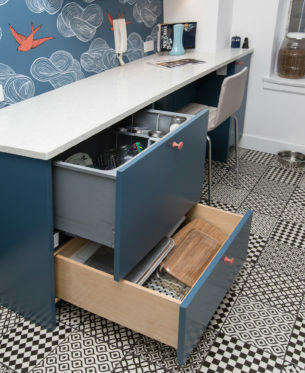 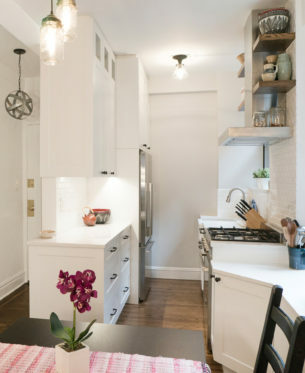 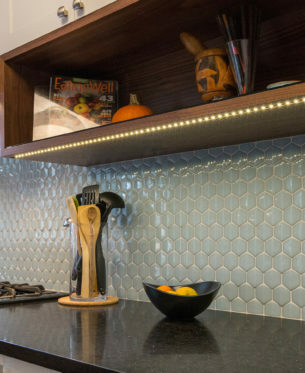 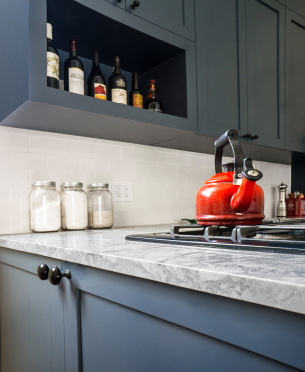 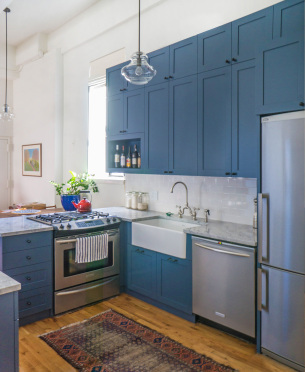 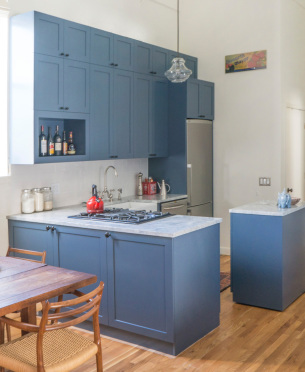 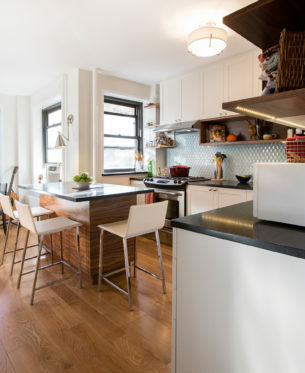 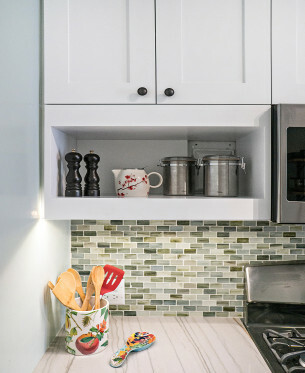 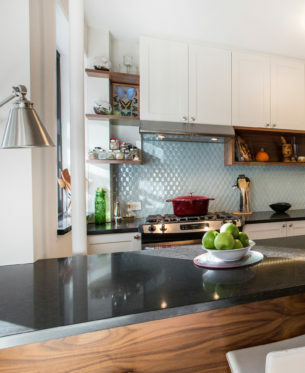 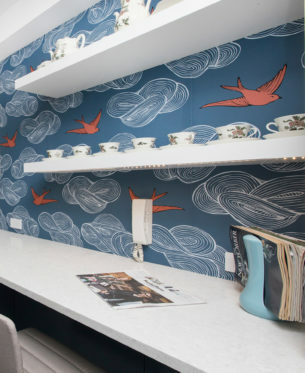 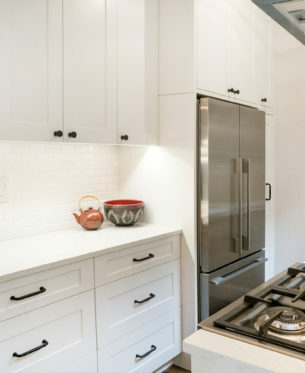 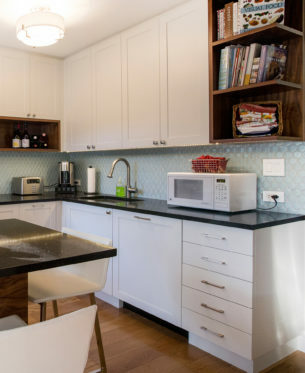 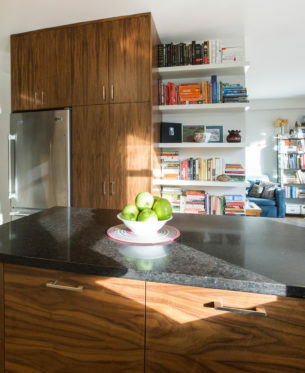 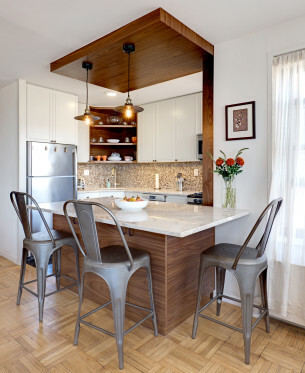 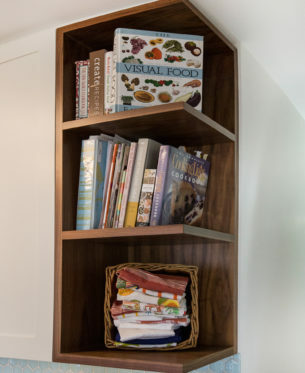 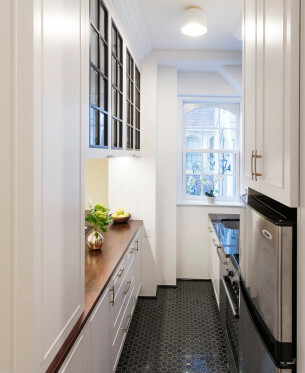 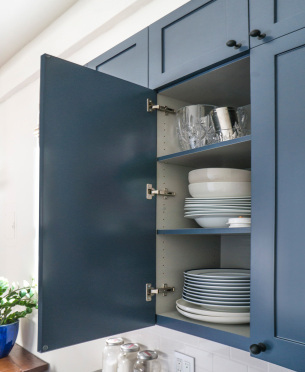 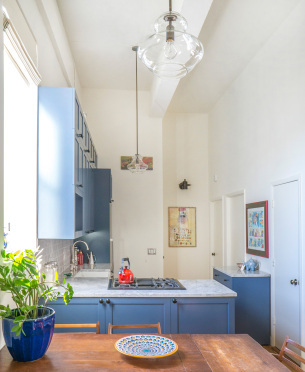 Design and renovation of a beautiful, pattern loving kitchen that used to be approximately 30sf! 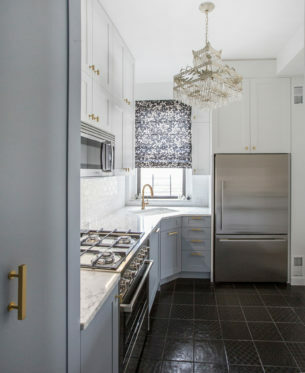 Beautiful Walker Zanger tiles on the floors and backsplash, hard maple counter on the peninsula and Nero Marquina by the sinkplus brass hardware on custom cabinetry. 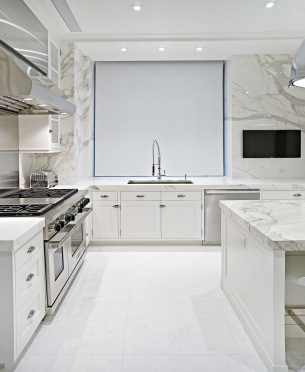 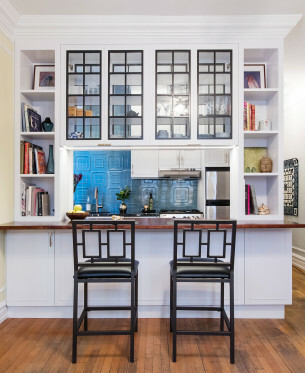 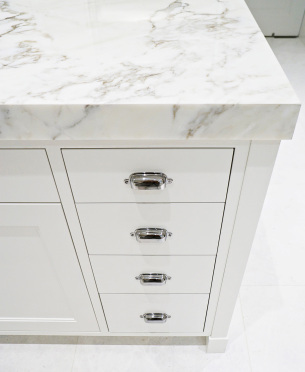 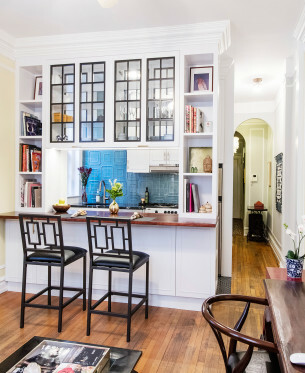 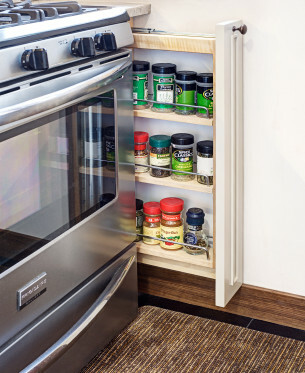 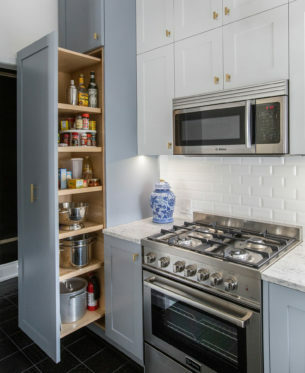 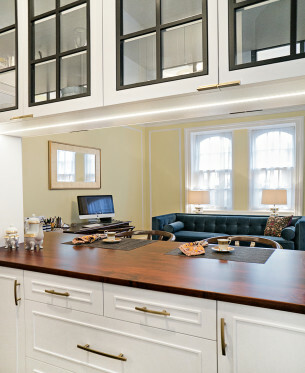 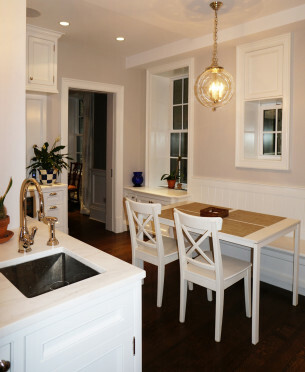 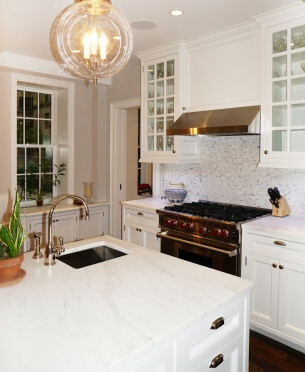 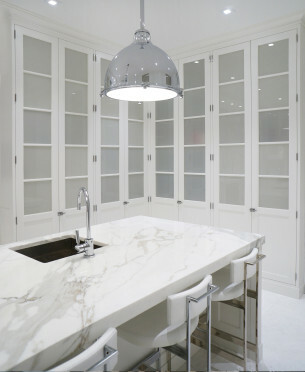 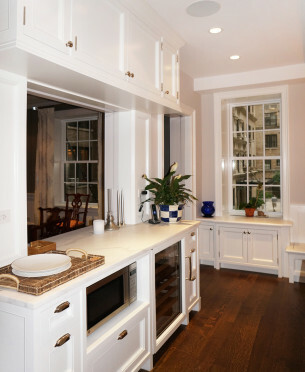 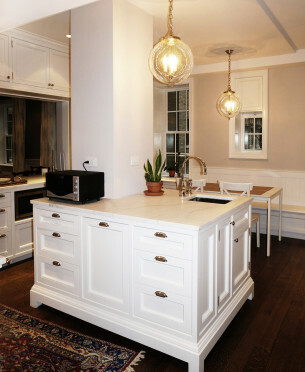 Complete kitchen design and renovation with custom cabinetry. 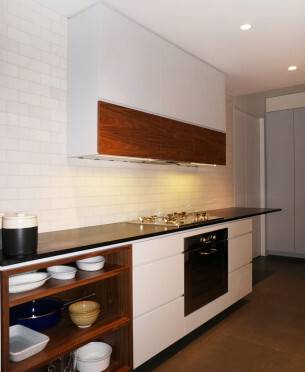 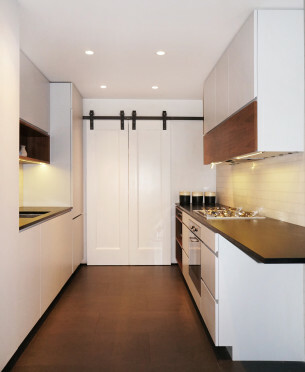 Lacquer and walnut kitchen with LED light strip underside upper cabinets designed by AhA!nteriors. 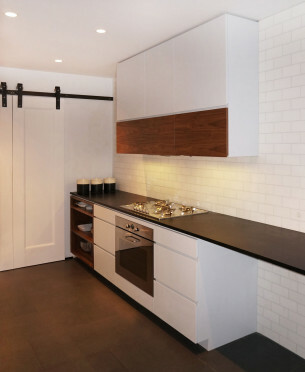 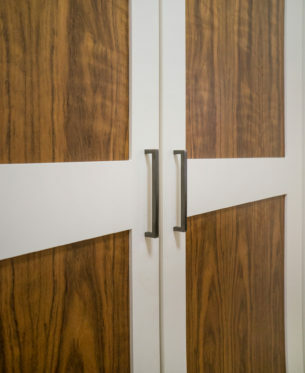 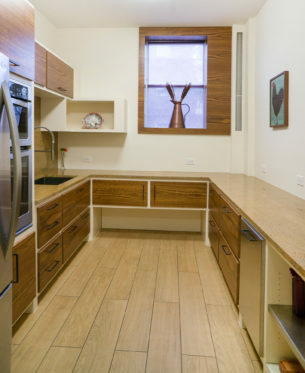 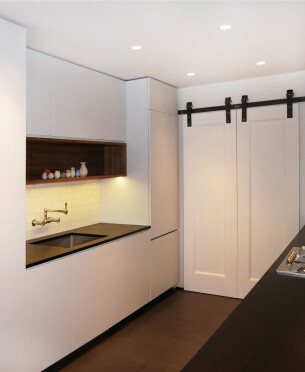 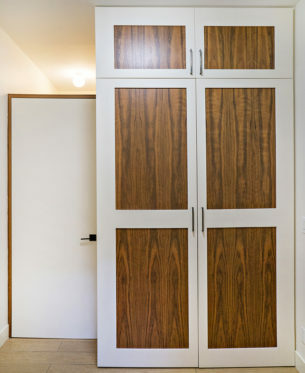 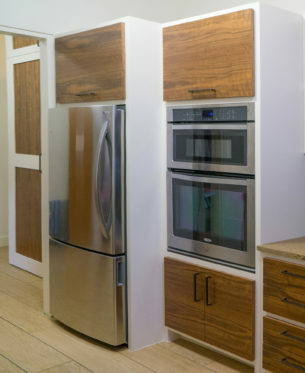 Lacquer and walnut kitchen with custom door panel designed by AhA!nteriors. 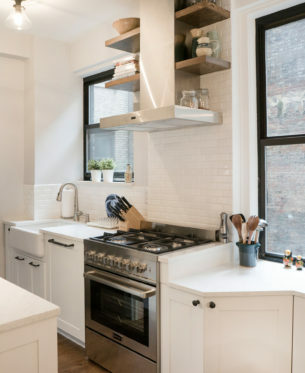 Full kitchen renovation. 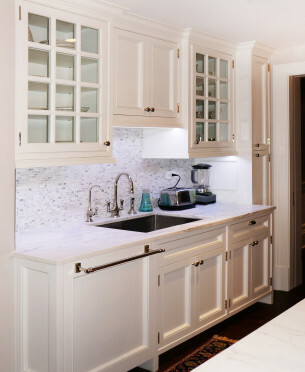 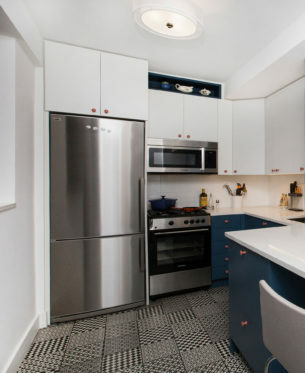 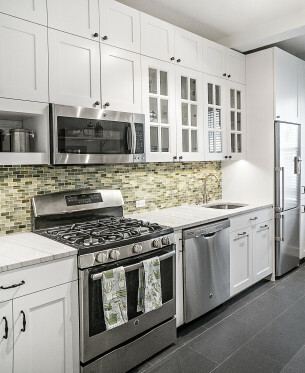 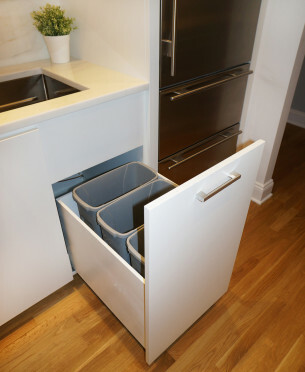 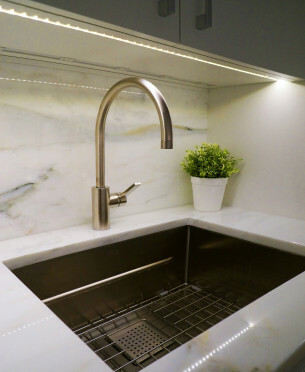 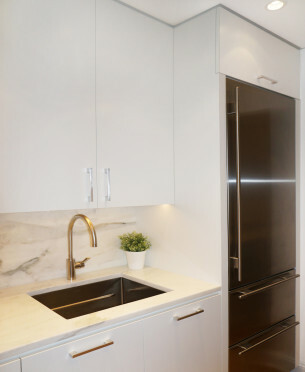 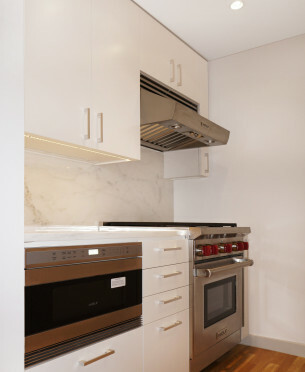 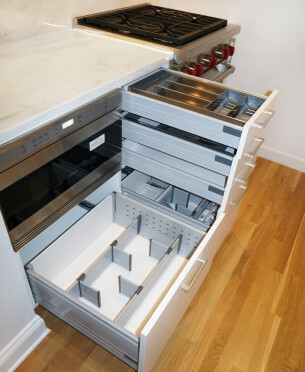 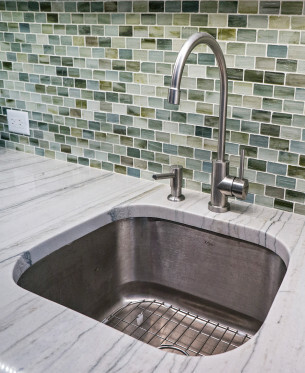 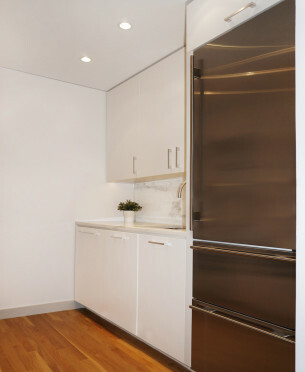 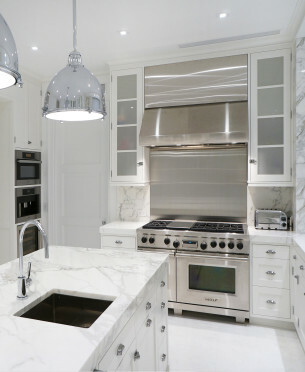 Full kitchen renovation including custom cabinetry design, fabrication and installation. 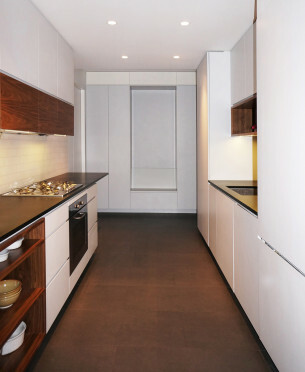 Satin lacquer exterior finish and silver grey interior plastic laminate. 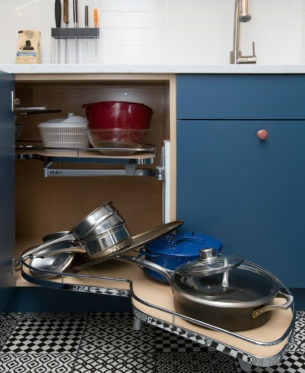 Movable island on wheels. 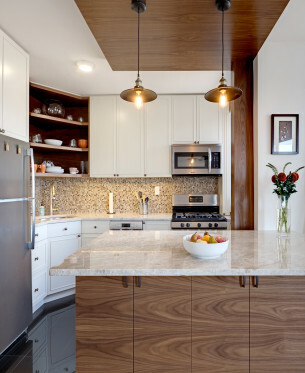 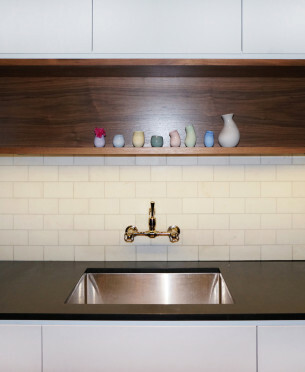 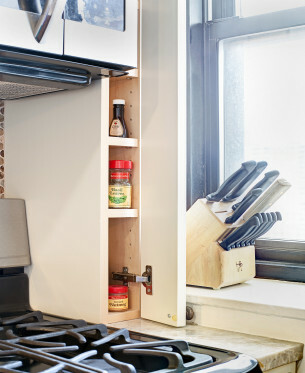 Custom Kitchen: Satin lacquer exterior finish with oiled natural walnut accents. 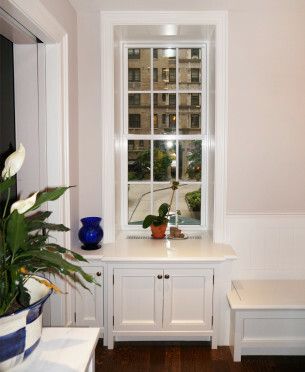 © 2013 AhA!nteriors Corp. All Rights Reserved.